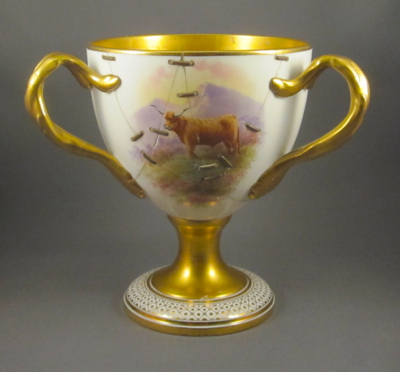 This beautifully painted three-handled porcelain tyg was made in Staffordshire, England by Cauldon, c.1905-20. 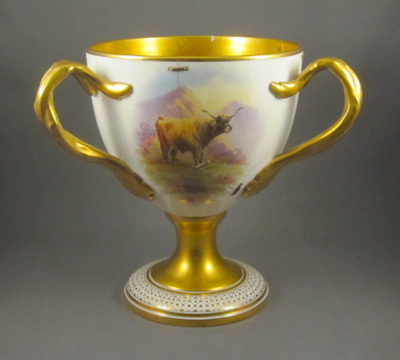 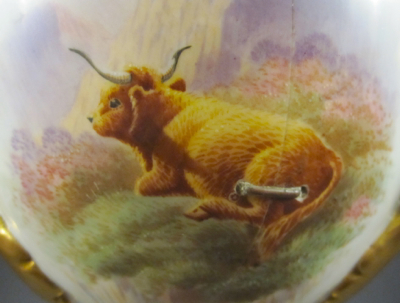 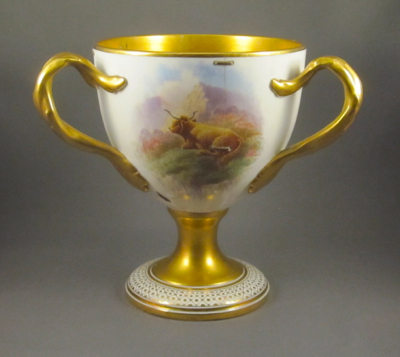 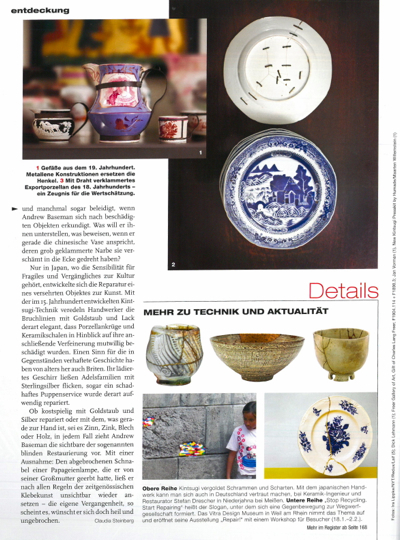 It is hand painted in polychrome enamels with gilt detailing in the Highland Cattle pattern, signed D Birbeck. 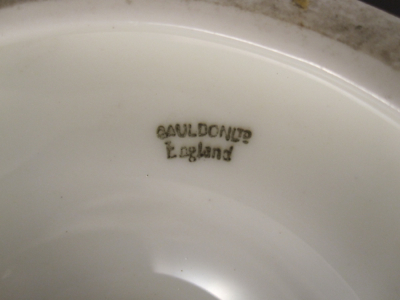 It is marked in green on the underside CAULDON LTD England and measures 7″ high, with an opening diameter of 5-1/4″. 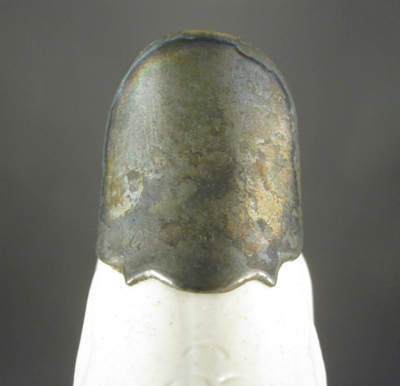 Tygs are muli-handled drinking cups designed to be passed around and shared by many drinkers. 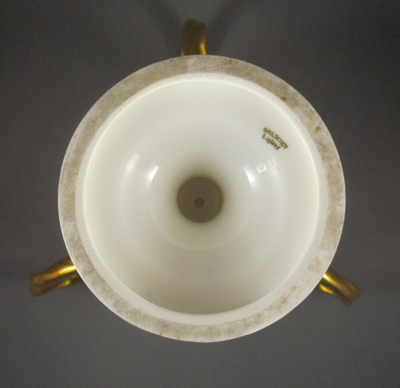 The space on the rim between the handles delineates a surface for each drinker, a more sanitary solution to a single handled mug. 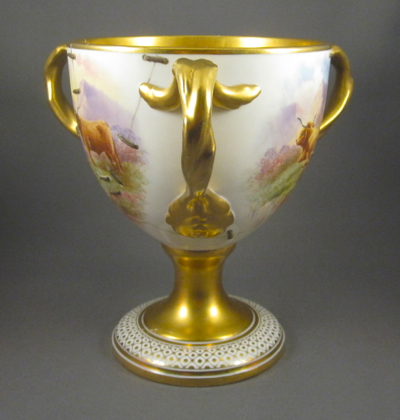 Tygs date to the 15th century and were popular into the 17th century, but today they are used for decoration and the nasty old habit of sharing a beer in a traditional mug lives on. 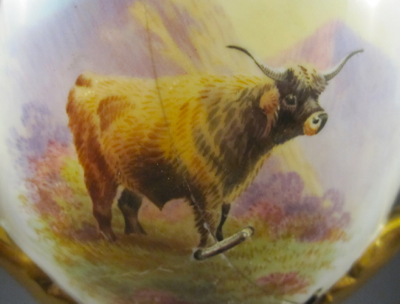 We will never know if this fine tyg suffered its many breaks as a result of being thrown across the room during a bar brawl or if it merely slipped from grandma’s hands as she was dusting it. 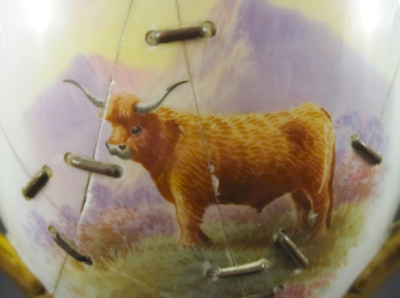 But thankfully it was brought to the attention of a china mender, who pieced the puzzle back together using 17 metal staples. 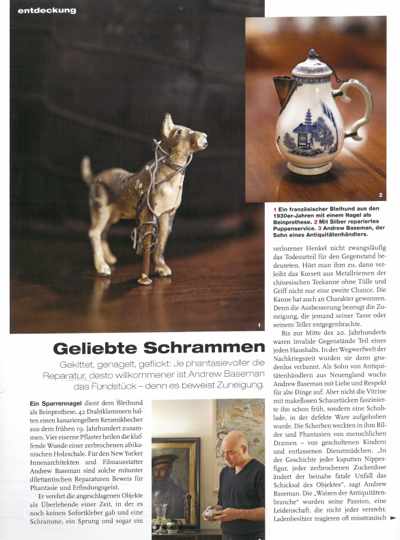 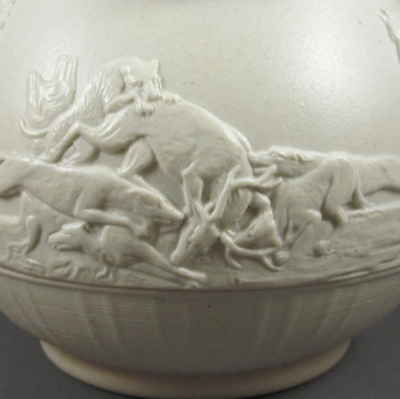 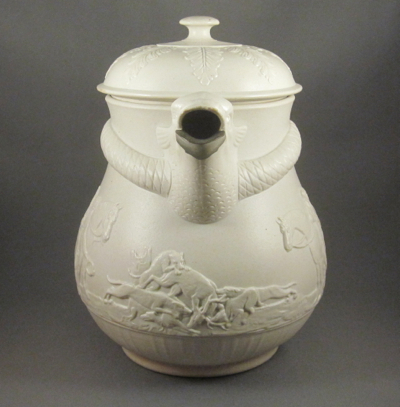 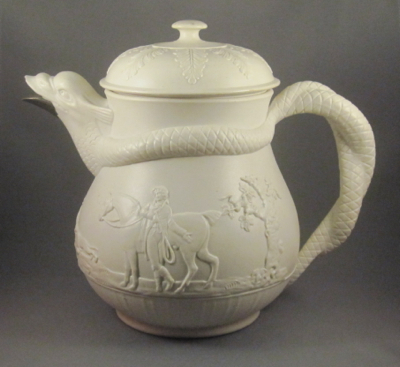 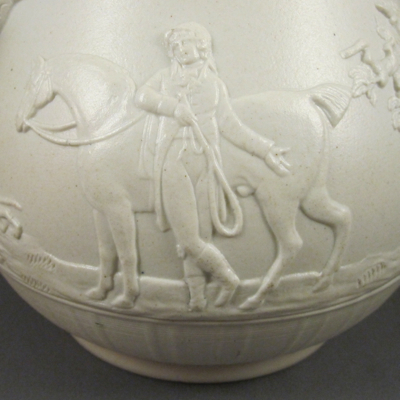 This large cream colored milk jug with sprigged decoration of hunters, horses and hounds was made in England in 1815 and bears the mark of the Chrysanthemum Factory, so-called because of the design of the pad mark on the underside. 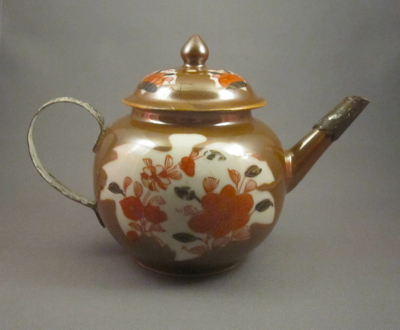 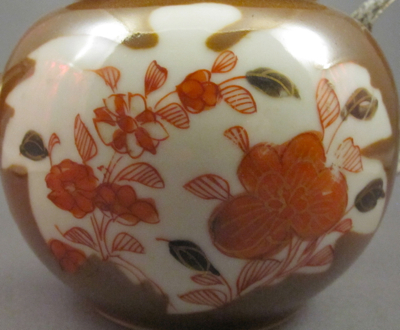 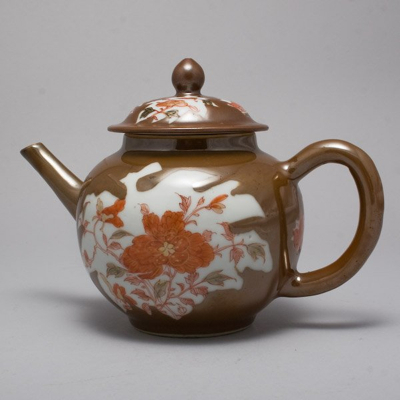 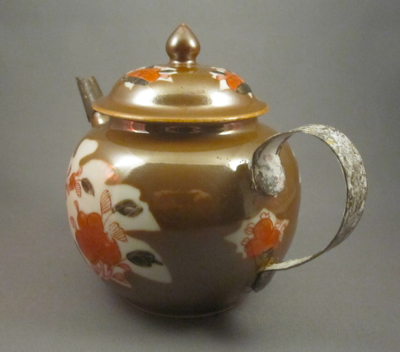 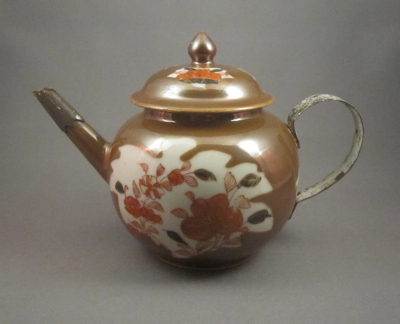 It was made by Charles Bourne and Chetham & Robinson and proved to be a popular design, as it was manufactured in many different forms, sizes and colors. 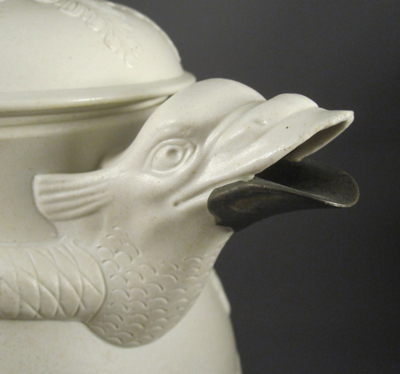 The striking dolphin shaped spout is minus its original lower half, replaced with a silver one by a tinker or jeweler long ago. 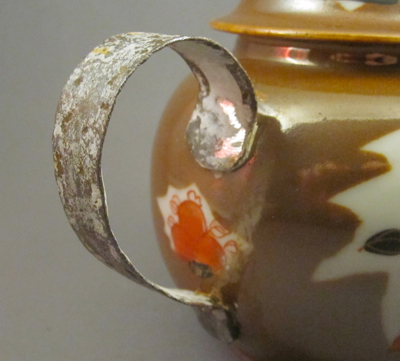 It was expertly made as a cuff, snugly attached to the broken remains encased within. 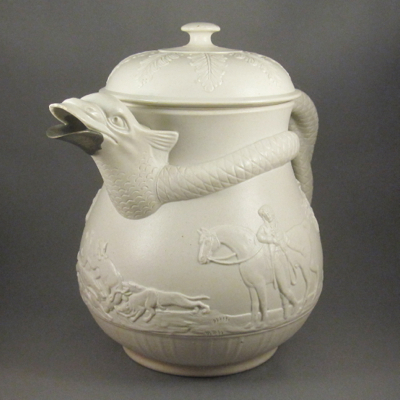 The ill-fitted lid, which came with the jug, seems to have been added at a later date by a previous owner. 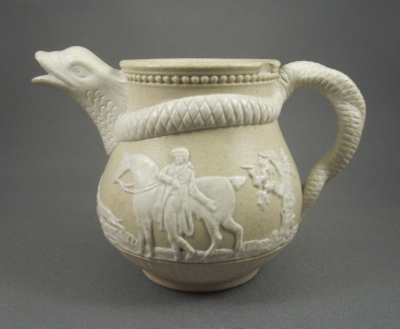 The jug stands 7-1/4″ tall without the lid. 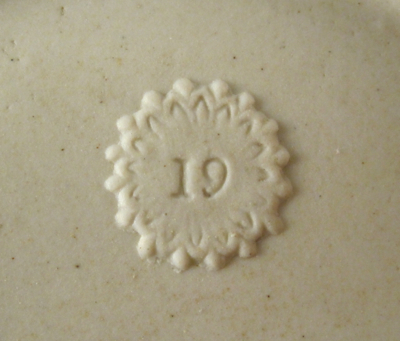 Thanks to Benjamin Allen, whose Facebook group Sprigged & Relief Moulded Jugs helped to identify this piece. 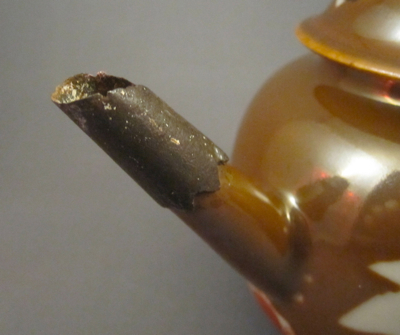 This small cream jug gives you an idea of what the original spout on my larger jug looked like before it was brought to the tinker for repair.